This lesson builds on prior learning, and gives kids hands-on experience in linking written words with printed words. This is a simple but fun art project and requires little pre-class preparation. The students use various foodstuffs to create an edible spider and spider web as a multisensory reinforcement to the story. Before the lesson begins, pour the marshmallows, pretzel sticks, and raisins into separate bowls. Prepare a sample spider and spider web to show the students. Visual learners who may have trouble making the association between verbal directions and the art process benefit from seeing the actual project. Have the students wash their hands before starting their art assignments. Give the children a paper plate and help them get their materials. Encourage them to count out loud as they get their supplies. Tell them to take two marshmallows, eight pretzel sticks, and five raisins for their activity. Break four pretzels in half. Stick four sticks on one side of a marshmallow and four on the other to form the spider’s body. Stick two raisins on top of the marshmallow for eyes. Take the remaining pretzels and stick them into the marshmallow in a circle, like the spokes of a wagon wheel. Help the children spray some cheese on the pretzels to form a web. Place the raisins randomly on the cheese to represent flies. Here are some discussion questions you can use while the class assembles their art project. What do we need to do to the four pretzel sticks to make eight sticks? How can we use the marshmallow and pretzels sticks to make a web? Where should we put the spider’s eyes? What do spiders like to eat? How many of you are glad we are not eating flies? Where should we put the cheese? Here's the best part of this art project; no clean-up, just let the kids eat their creations. If time permits, the teacher can read the book The Very Busy Spider again to refresh the students’ recall of the story. Extend this lesson with other lessons on the life cycle of spiders, web spinning facts, or other studies on the lives and habits of spiders. Try some or all of these books about spiders to extend lesson plans, or give a copy of the book list to parents as a resource tool. 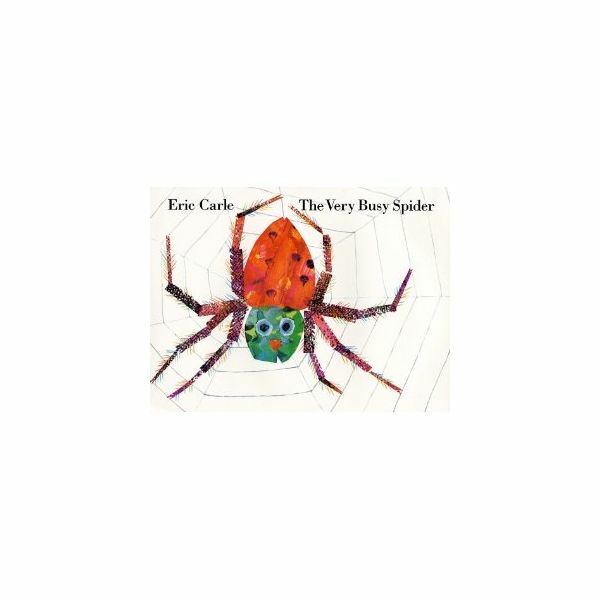 For other Eric Carle lesson plans, please read "The Grouchy Lady Bug by Eric Carle" and "A Comprehensive Guide to Teaching With Eric Carle Books."